I think you get the picture by now on my blog that I like to eat out. Cook? Not so much. I don’t know, I feel like sometimes it’s more hassle than it’s worth. I don’t have a car, and living in zone 1 there are zero supermarkets (by that I mean big super stores, like ASDA) so it feels like a whole lot of effort. Which is why when I was contacted by Togle, the new 1 hour Marks and Spencer delivery service to try them out, I was intrigued. 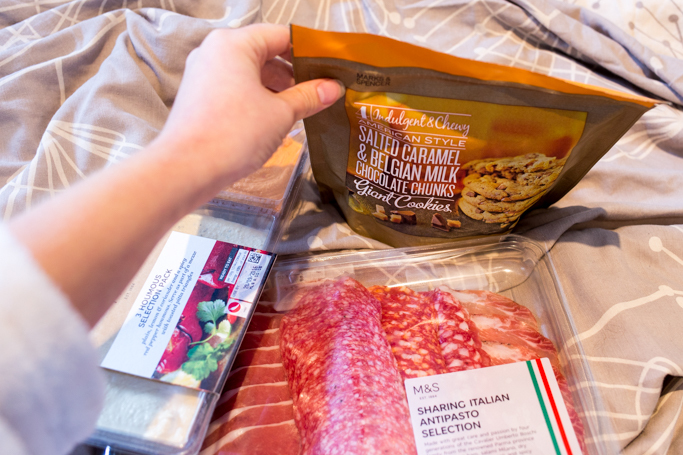 It sounded very convenient, and let’s be honest who doesn’t love a bit of marks and spencer once in a while. So I tested them out to find out. 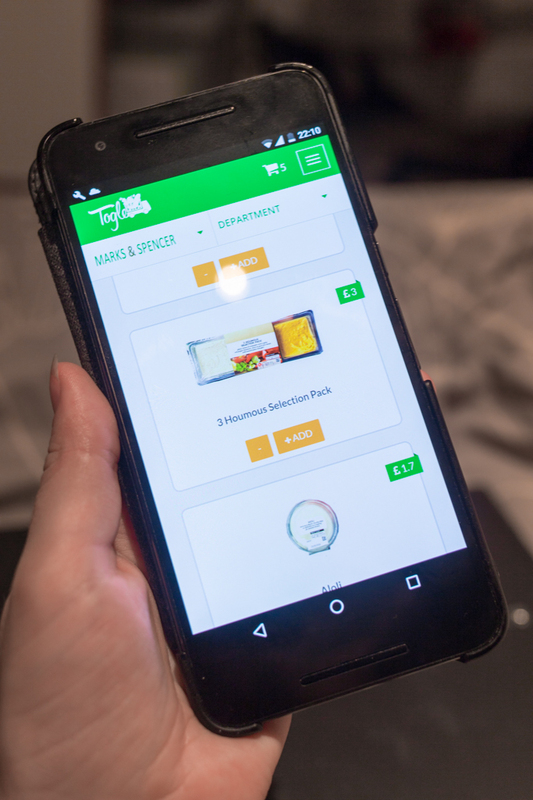 Togle is a new online delivery service for Marks and Spencer, a previously undeliverable supermarket. They currently delivery west-central ish London, which is Shepherds Bush, down to the river and across to Clerkenwell and up to Chalk Farm. What drew me to it, was that it promised to deliver within the hour. I can barely pop to the shops and back again within an hour in central London, plus other supermarkets usually say anytime in 4 hours, which let’s be honest, I have stuff to do, I don’t want to have to sit home waiting. Signing up was really simple. A quick few details like my name and address and I was in. The service is pretty standard to other supermarket deliveries, in that you search wither by department, or by searching for a specific keyword. The majority was plain sailing, but there was a few niggles. For some items there seemed to be a lack of choice. I really wanted some hummus that day, as I thought with a 1 hour delivery time, I’ll order my lunch as I was working from home. But the only hummus they stocked was a 3 pack, and I mean a 3 full size hummus pack, which isn’t what I needed for a single person on their own. 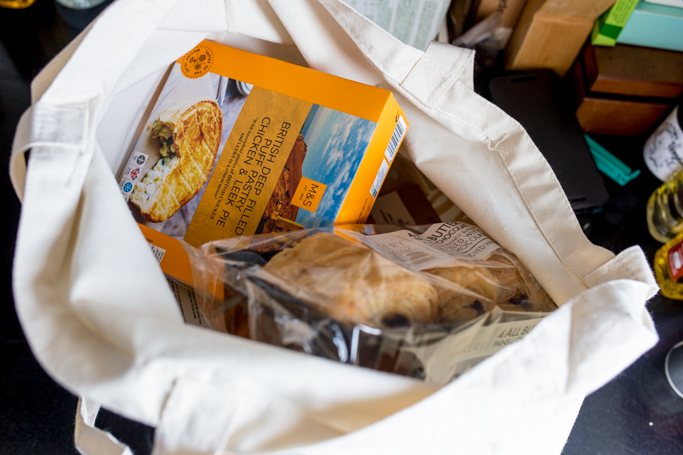 Also there were simple items I knew marks and spencer had which I couldn’t find, such as pecan nuts, but on the whole, there was a wide variety of choice. Placing my order was super simple. I added the items to my basket, entered my payment details and the 1 hour count down began. What I really liked was that if anything is out of stock, the currier gives you a ring and asks if you want anything else in replacement or your money back. No more second guessing, you can say exactly what you want. I wanted Boursin, but it was out, so I thought goat’s cheese was a good alternative. My courier arrived within the hour on his bike, gave me a call on his way. My good arrived in a cute little cotton shopper bag too, which I thought was a nice touch. I already knew everything was there as I’d been called about the cheese beforehand. So all was left was to delve right in. Working lunch can mean a picnic on the bed right? 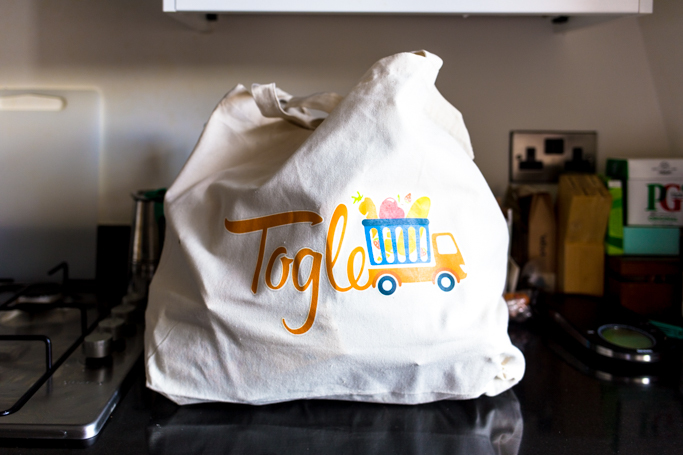 Togle exceeded my expectation, and defiantly boosted my opinion of delivery services. 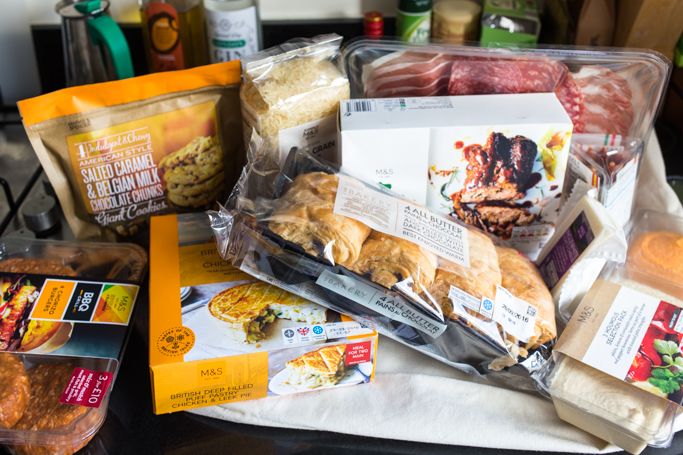 The 1 hour Marks and Spencer delivery is a life saver, as if you are like me and are too lazy to go out to even get something for lunch, it’s perfect! Plus, more time to yourself is a price you can’t comprehend.